Complete with 48 pieces of Genest Fire pit block and a heavy gauge metal insert. 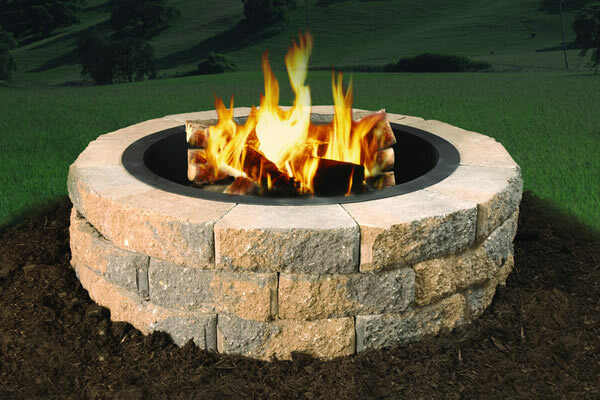 Available in two colors, this is our best selling round firepit! Optional cooking grate and spark screen are also available. Typical height 16″ (4 courses) with one course below grade for stability. Unit is on display in our Holden location. Stop in a see it today!